Bethesda's customer relations woes continue as the addresses and payment info of numerous users becomes available to any other person requesting support. The fallout of, well, Fallout 76’s customer relations continues. This time the potential consequences are far more dire than a misleadingly advertised bag. First reported by Kotaku, some people submitting support tickets (usually to request a refund or exchange for the aforementioned bag) have somehow been able to access every other support ticket and glean personal information, including email, home address, and payment information. Bethesda has since closed the loophole, but that didn’t stop a number of people from posting about their intrepid adventure through their fellow gamers’ information. Twitter user Jessie Tracy took a screenshot of the support tickets she saw when her account was accidentally given access. We experienced an error with our customer support website that allowed some customers to view support tickets submitted by a limited number of other customers during a brief exposure window. Upon discovery, we immediately took down the website to fix the error. We are still investigating this incident and will provide additional updates as we learn more. During the incident, it appears that the user name, name, contact information, and proof of purchase information provided by a limited number of customers on their support ticket requests may have been viewable by other customers accessing the customer support website for a limited time, but no full credit card numbers or passwords were disclosed. We plan to notify customers who may have been impacted. Bethesda takes the privacy of our customers seriously, and we sincerely apologize for this situation. Many of the people submitting support tickets in the first place are doing so because of a misleadingly advertised bag included in the $200 Fallout 76: Power Armor Edition. In the special edition’s product listing, the included bag was described as military-style canvas, but customers instead received a cheaper nylon bag. That’s in addition to the litany of technical, potentially game-breaking bugs that many users are likely requesting support for. Fallout 76 has had no shortage of middling to negative critic and fan reaction, garnering a Metacritic score of 52 out of 100, along with a community score of 2.5 out of 10 from public Metacritic users. Now, a DC-based law firm is investigating Bethesda for the questionable policy of not offering refunds to Fallout 76 players. During the Fallout 76 online beta, a Reddit user managed to discover security vulnerabilities that led to client-side hacks that could give an unfair advantage to the player using them. Bethesda is not currently supporting modding for Fallout 76. Fallout 76 saw some heavier-than-usual discounts during the Black Friday weekend, going as low as $30 but has since returned to a fairly standard $50-$60 price tag. It remains to be seen how long Fallout 76 will stand the test of time, but Bethesda’s customer support functions clearly aren’t doing it any favors. One has to wonder what the thought process was to have the first official response be “hey, we fixed it” and nothing else, only to provide more details seven hours later. Bethesda has grown into a far more secretive company, playing into the tired stereotype of the Black Box Corporation. In 2016, the company announced that it would not provide review copies any earlier than 24 hours prior to a game’s release. Even if the lack of communication has been as a result of trying to figure out the best way forward, the silence is deafening. And all of the good will that Bethesda has built up over the years by bucking industry norms is quickly disintegrating into the nuclear apocalypse that they've painstakingly built. 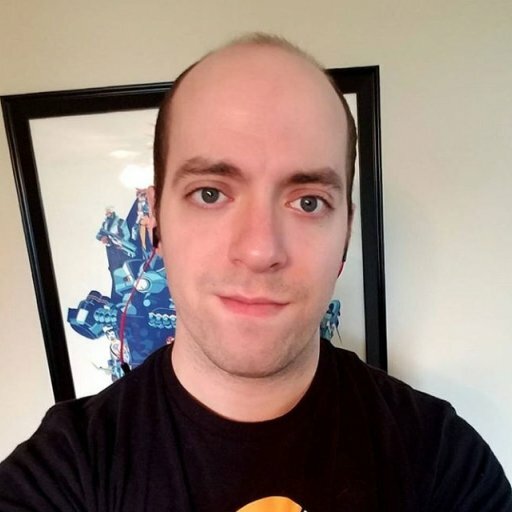 Joseph Knoop is a writer for Game Daily, IGN, PC Gamer, and plenty more. He owns an irresponsible amount of Overwatch merch. Break it down with him on Twitter @JosephKnoop. Analyst firm, Niko Partners, has released a new report detailing how China goes about approving (and denying) video games for release on console, PC, and now mobile. StreamElements' quarterly State of the Stream report, released on April 18, also revealed that Twitch's top 1,000 channels are responsible for 57% of its hours watched, among other data.